If you’re a small business owner, you know all too well that running a business isn’t cheap. The old adage that you have to “spend money to make money” is a reality of your daily life that you might think about every time you hand over your business credit card for a purchase. Whether you’re shopping to restock supplies, buying materials for your client’s big work order, or just keeping your employees happy with a fresh bag of coffee, these little expenses add up. And worst of all, you don’t always get that warm, fuzzy feeling that usually comes with a bit of retail therapy. But what if you had a business credit card that rewards you for making purchases for your company? There are plenty of options out there, of course, but it’s often easy to jump to a store business credit card as a go-to solution if you do a lot of your business spending with one particular brand. And if you do, it’s important to separate the best store business credit cards from those that fall a bit short. Even if you’re interested in opening what you think might be the best store business credit card for your company based on where you tend to make the most purchases, you might still be paying a hefty APR every month on a card that doesn’t really offer you perks that are better than a conventional credit card. Truth be told, the best store business credit cards are those that offer you something a regular rewards-heavy business credit card cannot. That might mean in-store discounts and perks, a line of credit for purchases within their stores, or 0% APR on large purchases. So, if any of these perks sound perfect for your business, the best store business credit card for your business could be worth finding. Getting a store business credit card makes sense if you’ve got specific stores you frequent for your business. You won’t get the same kind of universal perks that come with other kinds of business credit cards, such as top-tier cash back or points rates for certain purchase categories. As a result, you need to choose your allegiances wisely. Does your business’s go-to store offer one of the following best store business credit cards? The Costco Anywhere Visa Business Card offers you a pretty solid array of perks if you’re a frequent Costco shopper for your business (or even if you just have a membership). First, you can use this credit card anywhere Visa is accepted, even if you’ll only get to use your cash back rewards for purchases made at Costco. There’s no fee to open an account (unless you count the $55 dollar membership fee that also allows you to shop at the store). The Costco Anywhere Visa Business Card doesn’t come with a welcome bonus, unlike many of its top competitors, which might mean you’re leaving money on the table if you don’t shop around for other card offers. The Walmart Business Store Card might be right for you if you find yourself shopping at one of the chain’s 6,300 locations in the United States. The card only works in Walmart stores, however, so it’s more like a line of credit, rather than a pure-play credit card you can use to charge purchases wherever you like. 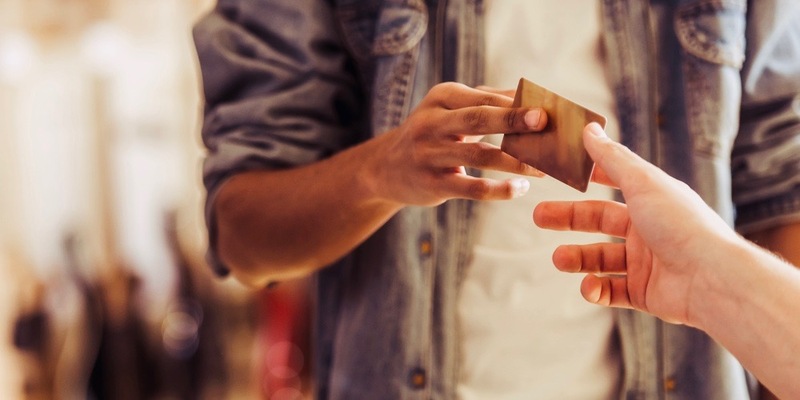 Plus, you won’t be able to earn for your spending with this store business credit card, but you also won’t have to pay an annual fee to access the card, either. But the Walmart Business Store Card can still be useful if you want to keep tabs on what your employees charge to your corporate account, or if you find yourself shopping at Walmart enough to make the benefits and perks that come with the card to be worthwhile. You should note that the Walmart Business Store Card’s APR is lower than many credit cards, but this tempting interest rate comes at the expense of only being able to use it at Walmart stores. If you find yourself shopping at the home improvement and construction giant, you’re probably curious about what kind of perks might come from getting the Lowe’s Business Rewards from American Express. This card is definitely more flexible than the terms of the Walmart Business Credit Card, especially since you can use it outside of Lowe’s locations, for starters. You’ll get rewards both in and outside of the store, which means you’ll be more inclined to pull out your credit card and reap the benefits of opening an account. But just like with any store business credit card, you might be leaving perks on the table for purchases made outside of Lowe’s. You’ll get a smaller signup bonus, for starters, and you’ll find better perks for charging restaurant visits and shopping at office supply stores with other business credit cards. Speaking of stores that sell just about anything a small business owner could ever need, Amazon has started to offer a host of rewards credit cards. The Amazon Rewards Cards offer a slew of perks for people who do most of their shopping with the online retail giant. They come in two different types: the Amazon Rewards Visa Signature Card and the Amazon Prime Rewards Visa Signature Card. A $70 Amazon gift card ($20 more than you’d get for the non-Prime card) upon approval. Both cards offer 2% unlimited rewards on purchases made at gas stations, pharmacies, and restaurants. They also offer 1% unlimited rewards for all other purchases, as well as perks associated with Visa Signature credit cards. That said, the benefits that come with both Amazon credit cards aren’t all that strong if you compare them to their non-store competitors. First off, both cards aren’t really business credit cards—they won’t offer the business-specific spending that most business owners are looking for. That, and you’ll find similar percentage points on purchases with other business credit cards—many of which will be even more lucrative for your business than these Amazon cards’ can be. The bottom line with store business credit cards is that you really need to be a loyal shopper to make them worth your while. And even then, you still might be better off with another card. Most of store cards’ rewards are only redeemable at one retailer (and some don’t even let you use the card at other stores at all! ), the cash back rewards are on par with regular business credit cards, and the other fringe benefits that come with them can be found with almost any other credit card—all without the kinds of restrictions you’ll encounter with a store card. The Capital One Spark Cash for Business card stands out as a primo pick for any business owner who wants to earn points on every purchase with minimal fuss. This card offers a flat 2% cash back every time you make a purchase—no bamboozles or hiccups like retailer exclusivity or purchase category restrictions. Better yet, there’s no limit on the cash back you can accrue with this card, which means you can really reap some great rewards for what you need to purchase to run your shop. Granted, the Spark Cash comes with an annual fee of $95, which hits your account at the end of your first year with the account. But the good news is that you’ll get $500 just for spending $4,500 during your first three months with the card. If you’ve got a credit score of 660 or better and you want the simplicity of a flat cash back reward, this is the card for you. 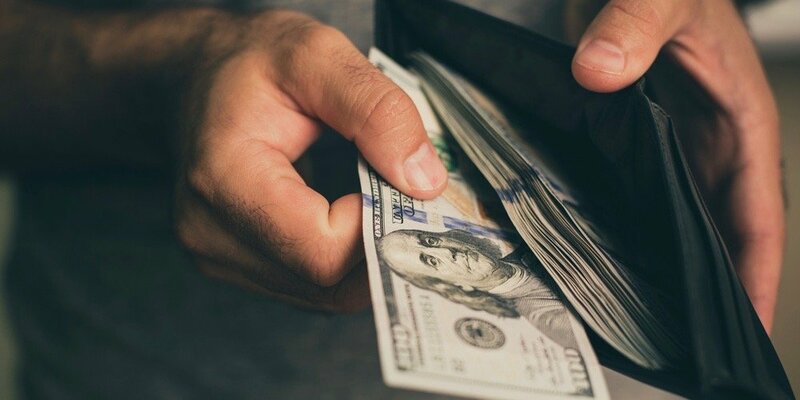 The Chase Ink Business Cash card offers more competitive cash back rewards than the Capital One Spark Cash for Business card, but you’re going to have to put a little more legwork into keeping track of your expense categories to maximize these perks. With this card, you can earn 1%, 2%, or even 5% on your purchases depending on what you charge to your account. The Chase Ink Business Cash card is a great option for entrepreneurs who find themselves paying for a variety of goods and services. Say that you need to buy office supplies or telecommunications plans. You’ll get 5% in both categories, which means that you’re earning money every month when you make essential purchases for your company. Nice, right? It gets even nicer when you consider the 0% APR you get for the first year on the account. After the first 12 months, a variable APR will set in based on your creditworthiness and the market prime rate, so you’ll want to check with the issuer. But this is one of the longest introductory APR periods of any cards current available, which certainly beats the pants off of store credit cards all on its own. The American Express SimplyCash Plus card is another solid call in the cash back category, as this card can net you 1%, 3%, or 5% on your purchases, depending on what you buy. But this card offers a layer of flexibility that sets it apart: You’ll earn 5% on telecom, television, and office supply purchases—but the real difference-maker is your ability to set your own categories for 3% cash back. American Express offers eight kinds of categories to choose from, which means you can rack up points if you select the right categories for your typical business expenses. This means doing a little more legwork than you might put in for a 2% flat cash back card, but you’ll be rewarded pretty handsomely for doing so. There’s another huge perk, though, that sets this card apart. You’ll also get 15 months with 0% APR on your purchases and no annual card fee. Once the initial 15 months are up, your APR will set in at a rate that depends on your creditworthiness and the market prime rate, so be sure to check the issuer’s terms and conditions to get the latest APR information. If you’re in the market for another straightforward credit card that doesn’t make you think about the points you might get for every single purchase, consider the Capital One Spark Cash Select card. This option’s similar to the Capital One Spark Cash for Business, except the cash back percentage is a bit lower at 1.5%. You will, however, earn $200 back for the first $3,000 you put on the card (if done so within the first three months). And you’ll enjoy a $0 annual fee, which saves you $95 a year as compared to the Spark Cash for Business option. Sure, you might be able to find the best store business credit card for your company. But you might also be in a slim minority of business owners if you do. You have to thread a pretty narrow needle to make the math work out—and if you don’t, there’s a good chance you’re leaving some pretty valuable perks on the table. We wouldn’t recommend store cards as being the best fit for most small business owners—the perks you do get through them pale in comparison to what other credit card companies offer you. 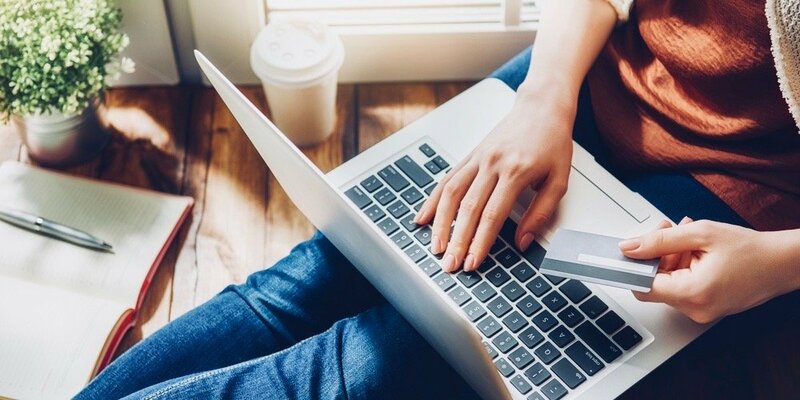 Even if your credit’s not so hot, or you find yourself making tons of purchases in one or two specific categories, you still stand to reap better rewards elsewhere. Plus, you won’t be stuck spending your cash back at one specific store as a result.